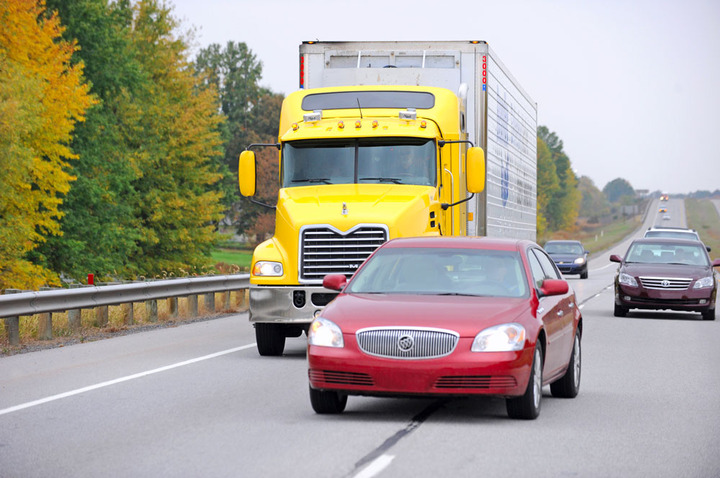 While the study focused on advanced semi-automated safety systems in passenger vehicles, it points to the importance of proper training for truck drivers on this technology as well. A new study by the Insurance Institute for Highway Safety found that electronic driver-assist systems in cars and trucks, such as advanced cruise control, collision mitigation, and lanekeeping, may not see stopped vehicles and could even steer a vehicle into a crash if drivers aren't monitoring the situation as they should. That’s the conclusion detailed in the study, entitled “Reality Check,” which the group issued on Aug. 7 after testing electronic safety systems from Tesla, Mercedes, BMW, and Volvo on both a closed track and public roads. The study is not dismissive of electronic safety systems and acknowledges they could very well save the lives of motorists. However, the study warns, the systems can fail under many circumstances – and that points to the importance of drivers understanding the limitations of these systems, whether they're behind the wheel of a car or a commercial truck. In one instance, the Virginia-based institute tested the electronic safety systems in in two Tesla vehicles, a Model S and a Model 3. When tested with the adaptive cruise-control turned off, but automatic braking on, at 31 mph, both Teslas braked and mitigated a crash but still hit a stationary balloon. They were the only two models that failed to stop in time during tests on a track. The systems tested in the Teslas, BMW’s 5-Series, the Volvo S-90, and the Mercedes E-Class, are among the best available and have been rated “superior” by the Institute in IIHS tests. Zuby said the systems do increase safety, but the tests show they are not 100% reliable. Many of the scenarios discovered by IIHS are covered in the vehicles’ owner’s manuals, which tell drivers they have to pay attention. But Zuby noted that not many consumers read their owner’s manuals in detail. Even though the systems have names like Tesla’s “Autopilot” or Volvo’s “Pilot Assist,” they are not self-driving vehicles, Zuby said. “They will help you with some steering or speed control, but you really better be paying attention, because they don’t always get it right,” he said. Many of the cars’ lane-centering systems failed, especially on curves or hills. The BMW, Model S and Volvo “steered toward or across the lane line regularly,” requiring driver intervention, the study found. Although the study focused on passenger cars, there are obvious similarities with electronic safety systems being increasingly spec’d on commercial vehicles. Fred Andersky, director of government relations for Bendix, told HDT in an interview that the study shows how hype concerning the advent of a driverless future is creating unrealistic expectations among consumers as to how these systems work, and what their capabilities are.